28-year-old Suhas is suffering from a severe form of blood cancer and he requires chemotherapy followed by a bone marrow transplant in order to survive. The total cost of the treatment is around 30 lakh Rs. This amount is far too high for his family to afford and he needs our help to get the treatment he deserves. Suhas fought hard but could not make it. 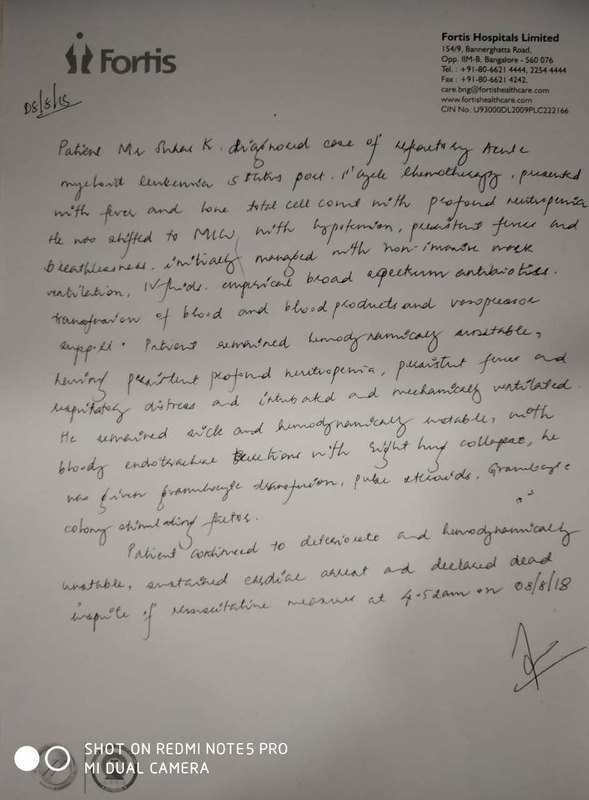 His condition was deteriorating everyday and he had become hemodynamically unstable with persistent fever and respiratory distress. He suffered a cardiac arrest and passed away. All the funds raised from this campaign will be utilised for his treatment so far. We're really thankful to each one of you for your support. 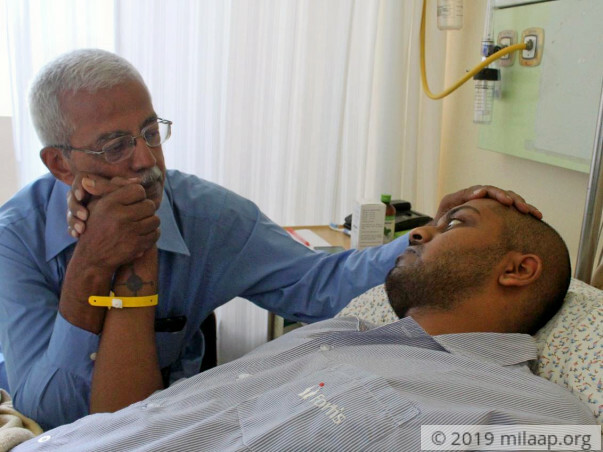 This is to inform you that Suhas has completed his induction chemtherapy and is presently in MICU for medical management, and he may require another 3-4 days of ICU stay. During this course in the MICU, he received multiple Red cells and platelets transfusions for his transplant. We will keep you posted on the next course of treatment. 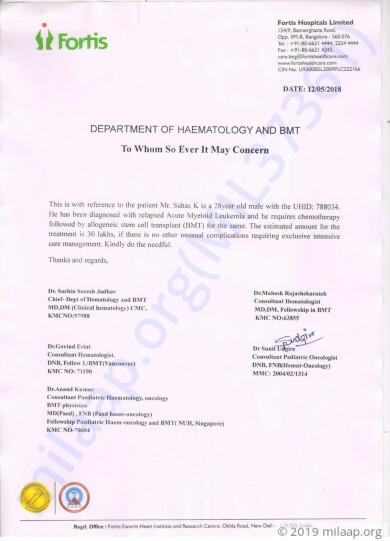 Suhas was admitted on 5th May,2018 for Chemo and Induction sessions. He is showing signs of improvement. Please continue to share the update with your friends and family and support Suhas.